York House School, located in the heart of Vancouver, is one of Canada’s leading independent schools for girls. 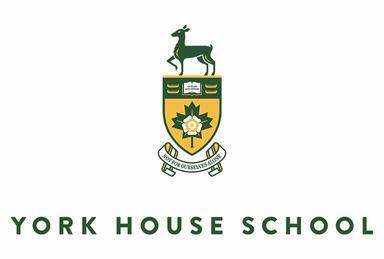 Founded in 1932 by seven progressive and insightful women, York House provides an outstanding education for approximately 650 girls from Junior Kindergarten to Grade 12. York House School is looking for a Director of Development who is an experienced and passionate fundraising professional who will be responsible for identifying, cultivating, and soliciting donor prospects; developing a donor retention strategy; and creating a donor stewardship program that supports strategic initiatives as identified by the Head of School. Since its founding in 1932, York House School has embraced a culture of philanthropy which is guided by our school motto “Not for ourselves alone”. The generosity of our community of current families, grandparents, staff, faculty, alumnae, and friends, ensures that each year we are able to offer the resources, programs, and spaces that provide an unparalleled educational experience to each girl who attends York House School. As a member of the Administration team, and reporting to the Head of School, the Director of Development plays a critical role in meeting the school’s current funding needs and planning for the long-term future of the school. The individual in this role will engage in donor-centric philanthropy to strengthen relationships within a variety of stakeholders in our community and maximize potential gifts over the long-term while working in collaboration with the annual giving, alumnae relations, and communications and marketing team. Develop donor recognition, stewardship, and retention strategies that are measurable and sustainable. To learn more about this exceptional community please visit us at www.yorkhouse.ca. A passed criminal record and vulnerable sector check is a requirement. York House School offers a competitive compensation and benefits package.